Our second to last day of vacation, we decided to visit Roanoke Island, known as the site of the first English colony in the New World. 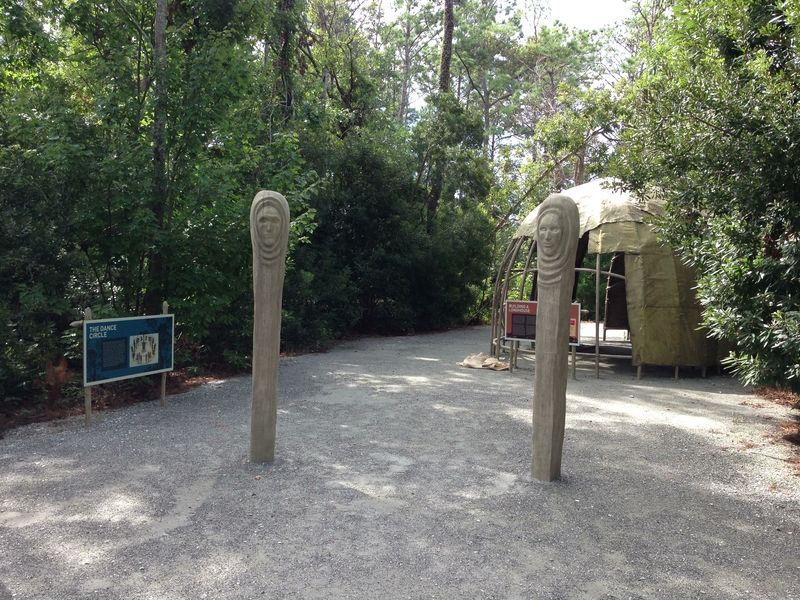 Having not been in a history class for many moons, we were a bit confused, as we were thinking that Jamestown, Virginia, was the location of the first settlement. 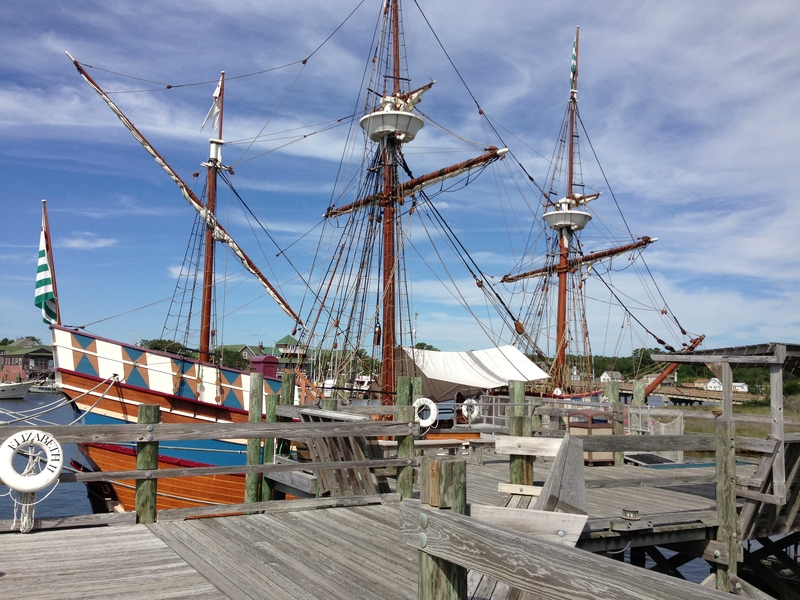 Visitors are encouraged to go inside the ship, explore and converse with the reenactors. The pictures don’t really do this place justice. There was much more to it. It really felt like a living history class. And speaking of history, we learned that Jamestown was the first permanent English settlement in the Americas, established around 20 years after Roanoke. Roanoke, unfortunately, came to a mysterious end, and became known as the Lost Colony. One of the colonists, John White, left for England in 1587 to obtain much needed supplies so that the colony would survive the coming winter. He expected to return to Roanoke within three months. Instead, he was delayed for lack of a ship, as England was involved in a war and all ships were confiscated for use in the war efforts. It was 1590 before he was able to get back to his new home on Roanoke. When he arrived, he found the colony had simply vanished. The only clue he found was the word “CROATOAN” carved into a tree, perhaps indicating that the colonists had headed to the island of that name (now known as Hatteras Island). He was never able to find the colonists, among whom were his daughter and granddaughter, the first English child born in the New World. Next post: our third lighthouse on this trip! 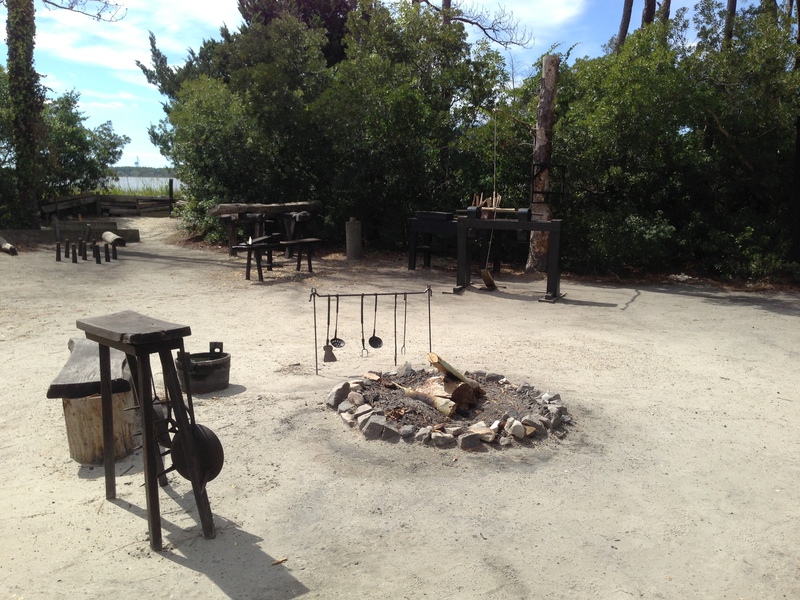 This entry was posted in Blog Update and tagged lost colony, outer banks, roanoke island, travel. Bookmark the permalink. ← Butterfly Garden – milestone!